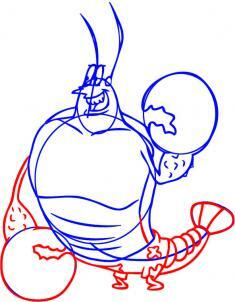 To draw Larry the Lobster you will need to draw a circle for his head and then add the facial guidelines. Next draw the largest of shapes for Larry's muscular torso. 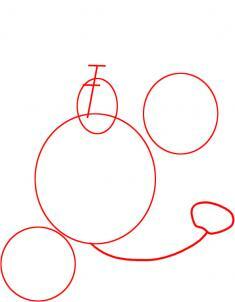 Next draw two more shape for his claws and then a curved line for his lobster tail capped off with another shape. You will now draw in Larry's face which includes the eyes, nose like shape, his mouth and then the long antenna that every lobster has. Next start sketching out the shape of the shoulders and then the right claw and arm. 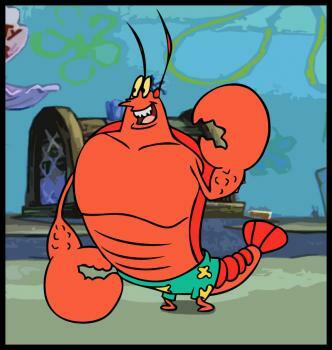 Larry is of course a lobster, so you have to make sure that you draw him to resemble one. You will now start drawing out the rest of his torso shape and then add the line to define his chest and abs. Once that is done draw the sharp points that is on his claw and the define his bottom lip. 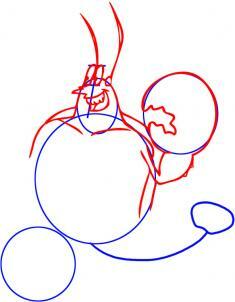 Here is your last drawing step and as you can see it is very easy. 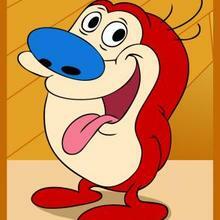 You will finish sketching out the shape of his body and tail and then draw in his flowered beach shorts. 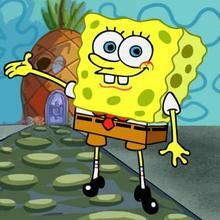 Draw his small legs and then draw the left arm and claw as you see here. Erase the guidelines and shapes that you drew in step one. When you are done your lobster should look like the one you see here. 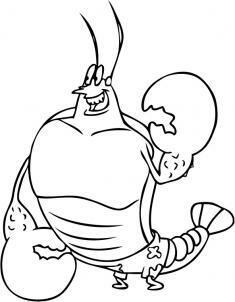 Color him in his famous lobster red and you have just learned "how to draw Larry the Lobster step by step".